We remain committed to providing intensive residential treatment as one component of a broad service array for youth in need of out-of-home placement. In a safe environment Crittenton helps our clients stabilize, work toward family reunification, adoption or transition into an independent living setting if appropriate. Our residential program is licensed by the State of California Department of Social Services as a community care facility/group home and foster family agency. Specialty programs also include: Co-Occurring Disorders Treatment, Substance Abuse Treatment, Kate Waller Barrett Academy , Commercially Sexually Exploited Children Treatment Program, and the Teen Mom and Baby Program. This program provides mental health services such as therapy, case management, and rehabilitation to youth discharging from our residential treatment center. In addition, this programming effort helps link clients to services within their communities. 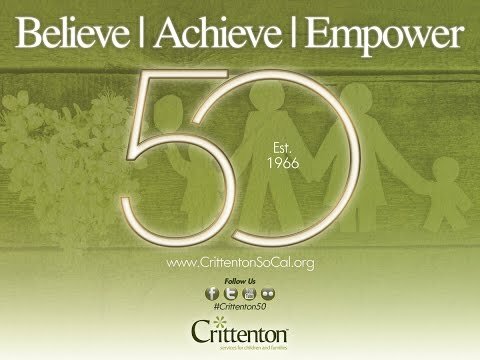 Under contract with the US Department of Health and Human Services, Crittenton has shelter services for children and youth that provides short-term assessment and residential care for clients under the protection of the federal government. Clients in this program are screened for human trafficking trauma, child abuse, and/or neglect prior to a determination of the status of their individual cases. We operate as a foster care agency licensed by the State of California Department of Social Services that recruits, trains, certifies and supports resource/foster parents in five Southern California counties. Resources/foster family homes are located in the service planning areas within Southern California that Crittenton holds offices in. All foster youth are eligible to receive support services including therapy, respite care, insurance, continuing education, and financial support in order to help certified Crittenton resource/foster parents assist the newest member of their family. In addition, we also operate as an adoption agency, licensed in the State of California, in order to support foster youth and their resource/foster families make their connection permanent if they wish to do so. Designed for youth who are aging out of the foster care system and are in need of additional support and resources during their transitional phase into adulthood. Under Crittenton’s Stepping Stones Program our TAY clients are offered comprehensive resources such as independent living skills programming, mental health services, and affordable transitional housing to assist clients stay safe, stable, healthy and emotionally resilient. At the first substantiated incident of abuse or neglect, resources are sent into the family home to strengthen family functioning and to help keep children safe in their biological homes. This program provides both in-home and community-based services to families experiencing crisis. When youth are intended to reunite with family members, safety concerns are assessed and supports are identified to assist a smooth transition. Crittenton staff conduct home studies and post-release services as needed to assist with this process. To avoid long-term institutionalization of youth with serious mental health or behavioral issues, Crittenton community-based teams are assigned to coach families and their children preserve a healthy and connected family unit. In addition, Crittenton staff provides in-home counseling and support services, and help clients access whatever services they need to improve their quality of life. Depending on the setting, Crittenton provides group, family, and individual therapy; rehabilitation services, case management, and therapeutic behavioral services.